It’s no secret that SEO can be expensive, but that doesn’t mean having a healthy budget for it isn’t worthwhile. A well-done SEO campaign has the ability to catapult your business into online virality, helping you grow brand awareness and achieve those coveted conversions everyone strives for. SEO’s reputation for being a budget-buster often frightens businesses, especially when they’re new. They fear they won’t see a Return on Investment (ROI) because they haven’t yet seen results for themselves. Instead of leaning in and budgeting what’s needed, they try to start small, investing tiny amounts as a test. Here’s the problem with this scenario: it is not only possible, but entirely common for businesses to under-budget for SEO. The industry’s nature is one of competition; as with other forms of marketing, there will always be a threshold level of investment needed to become competitive yourself. But that doesn’t mean you should just hand over your hard-earned capital, either; it’s important to judge every investment carefully. Ultimately, you have to understand the difference between caution and potential self-sabotage. Be smart, but don’t be afraid to lean in at the right moment. Think of a physical mail-out marketing campaign. Let’s say you’re a brand-new plumbing company. If you send out mailers to 200,000 people, you are naturally going to see better results than if you send out mailers to 200 people. But the kind of budget needed to reach 200,000 people is much different than the budget to reach 200 – or even 20,000. This is exactly how it works in the online sphere with strategies for SEO. If you put more money into the right efforts (led by trustworthy providers, of course), you will naturally reach more people, and thus, see more conversions by sheer odds alone. So, Am I Budgeting Enough? Every business is different. 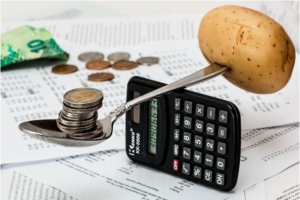 There’s no one set budget that works for everyone, but if you’re sure you’re using a reputable, trustworthy provider, there are some symptoms that may point to an anemic budget being the issue. Your Pay-Per-Click (PPC) Campaigns fail: If you aren’t winning any bids for PPC at all, it’s a definite sign you aren’t budgeting enough for that keyword. Try a different keyword, or up the investment. You Have Visitors, But Not Conversions: This is a classic symptom of cheap, high-volume SEO strategies. Invest more into demographics research, and try A/B split testing to figure out who’s buying. You should also review your keywords to ensure they’re a good fit for your demographic, too. Your Keywords Aren’t Showing Results: Startups have a tendency to target low-competition, cheap keywords when first starting out. This isn’t always a bad thing, but when it’s all you do, it can really reduce your success. The problem is that “low-competition” is usually a sign that too few people are searching for that keyword in the first place. Caveat Emptor! You Aren’t Creating Useful Content: Believe it or not, content is an incredibly important part of SEO. If people are landing on your site only to immediately bounce away, something is missing in either your content or your user experience. If there’s nothing else you invest in, make investing in useful, actionable, shareable content number one. It’s the best way to increase organic traffic. There are some other symptoms that may point to an issue with budget, too, but they aren’t always as clear. It’s best to spend your first year using SEO with the help of a professional agency, like Go Digital WSI, for this exact reason. With the right help, you’ll shine like a diamond right out of the gate.